Trainer Shane Nichols has chosen the lighter of two Caulfield options for Streets Of Avalon. Trainer Shane Nichols has selected the shorter of two options for last-start winner Streets Of Avalon. Nichols has the gelding nominated for the Listed Anniversary Vase (1400m) and a handicap over 1200m with weights favouring the shorter journey. “The preference would have been to run with 54 (kg) in the Listed race but he now rates 101 and he’s got 59 and no claim,” Nichols said. Streets Of Avalon’s rating leapt following his win in the Hareeba Stakes at Mornington on March 23 after he started his preparation at 81. “It’s a remarkable thing for a horse like him to continually improve through his four-year-old year and who knows, if he improves again, where he’ll end up,” Nichols said. 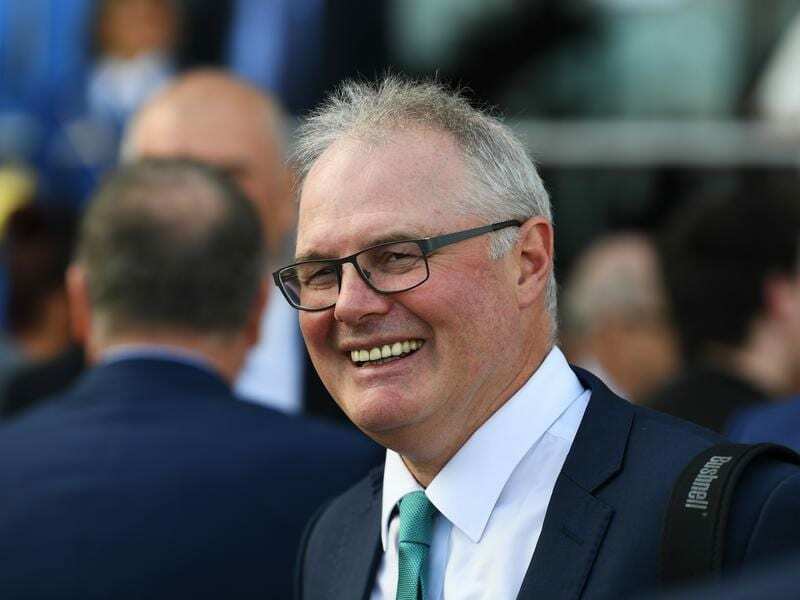 Nichols hopes to return to stakes level with Streets Of Avalon at his next start which could be in the Group Three Victoria Handicap (1400m) at Caulfield on April 20. “He’s a genuine Listed, Group Three class horse in the handicaps where he can get in down in the weights,” Nichols said. “Hopefully something wants to keep away from the wet tracks in Sydney and will come down and help us out. Nichols said Streets Of Avalon was likely to have a short break and get ready for a trip to Brisbane for the back end of the winter carnival. Stablemate Tahitian Dancer, also a winner at Mornington on March 23, is Sydney-bound for her next start. The filly is entered for the P J Bell Stakes at Randwick on Saturday but could be saved for the South Pacific Classic the following week. “She’s really come on since her first-up win,” Nichols said. “She worked the Sydney way on the (Mornington) course proper this morning which was outstanding.